Ladyboy Life Arts & Entertainment is sponsored by MTF Management - a professional modeling & performing artist agency, event manager and wedding & party organizer specializing in transgender and LGBT. 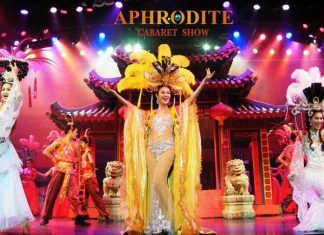 Colosseum Show Pattaya - Vividly colorful, kaleidoscopic extravaganza of traditional and contemporary cabaret entertainment. 228/168 Moo 12 Thepprasit Road, Nongprue, Banglamung, Chonburi Tel: (+66) 922693075, 922693675, 38906528-33 colosseumshowpattaya.com | facebook.com/clspth Please visit ThailandCabaretShows.com for more info, photos and videos. 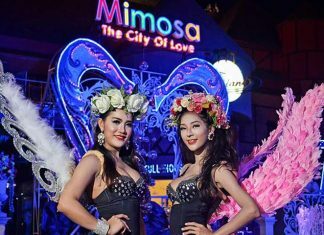 Mimosa Cabaret Show - A Broadway style cabaret show with a musical fountain at Mimosa - The City of Love. 28/19-20 Moo 2, Jomtien, Sattahip, Chonburi Tel: (+66) 38237318-9, 824676444, 805651661 mimosa-pattaya.com | facebook.com/mimosapattaya Please visit ThailandCabaretShows.com for more info, photos and videos. 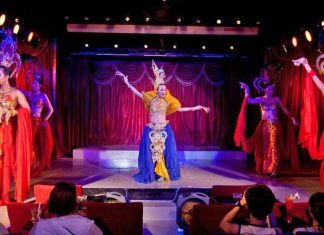 Moulin Rose Cabaret - Nightly cabaret show located on Soi Crocodile near the middle of Soi Bangla. Soi Crocodile, Bangla Road, Patong, Kathu, Phuket Please visit ThailandCabaretShows.com for more info, photos and videos. Phuket Simon Cabaret - For sheer entertainment, outstanding set designs, extravagant costumes and glamorous performers. 8 Sirirach Road, Patong Beach, Phuket Tel: (+66) 76342011-5, 76342114-6 | Fax: (+66) 76340437 phuket-simoncabaret.com | facebook.com/pages/PHUKET-SIMON-CABARET-SHOW/214666735225259 Please visit ThailandCabaretShows.com for more info, photos and videos. Simon Star Show - Become spellbound by their enticing costumes and a new generation of ambitious performers. 52/11 Moo 6, Rassada, Amphoe Muang Phuket Tel: (+66) 76523196 simonstarshow.com | facebook.com/pages/Simon-Star-Show/330117323673451 Please visit ThailandCabaretShows.com for more info, photos and videos. Miracle Cabaret Chiang Mai - A newly opened venue in Chiang Mai. Previously known as Chiang Mai Cabaret Theatre. 177 Changpueak Road, T. Sriphum, A. Muang, Chiangmai facebook.com/pages/Miracle-Cabaret-Chaing-Mai/809311562439901 Please visit ThailandCabaretShows.com for more info, photos and videos. Chiang Mai Cabaret Show - Nightly show located inside the Night Bazaar on Anusan Road. 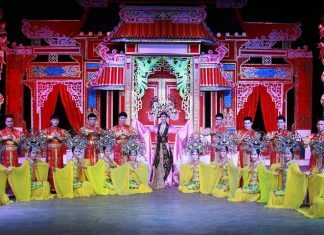 Please visit ThailandCabaretShows.com for more info, photos and videos.